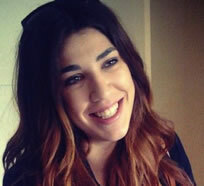 I am a studying journalism in my fourth year of my degree at the Aristotle University of Thessaloniki. I spent six months in the Hague, the Netherlands last year as an Erasmus student from Greece at the Hague University of Applied Sciences. I wish I was given the opportunity to have the information provided from the Passport to Trade 2.0 website www.businessculture.org before my stay there last September! As there are cultural differences between the Dutch and the Greeks, I had to discover these differences by myself. Sometimes this was a bit awkward. It is great to see so much information in one place for 31 European countries. “The Dutch occupy one of the world’s most densely populated countries, and they structure life in it by means of a seemingly irrevocable commitment to a meticulously detailed but at the same time flexible system of interlocking organization”. I am thinking, after graduating, of applying for a Masters program in the UK. You can be sure that I will consult the www.businessculture.org website before going for my postgraduate studies. I was looking through the UK section and it gives so much useful information. I especially like the sections on internship and placements, business communication and business etiquette. Congratulations to the team!! !